If you are a frequent traveller, you might feel that you don’t need to keep safety checks. But it should not be the case as there can be times when you can ignore or overlook any safety measure, which can prove to be hazardous for you. 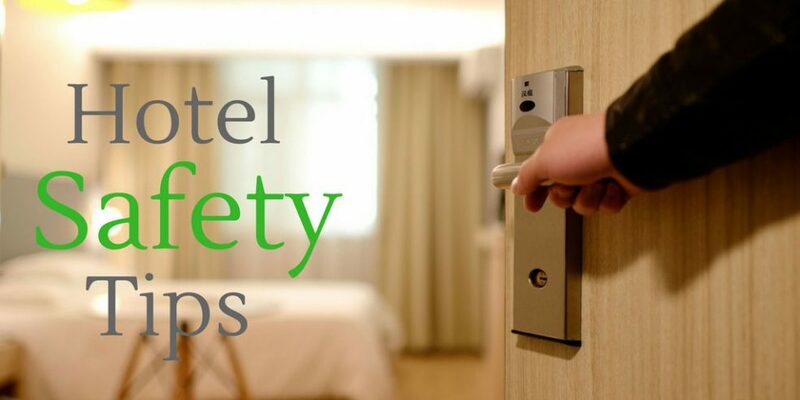 It’s better to keep your guard up, especially when you are in a hotel. • The hotel you book is in a safe area of the city – It should not be much isolated. • Check if there is a proper restaurant in the hotel or nearby. This is the most common mistake most people make. While you are handing over your credit card, directly hand it over to the person attending you. There is a possibility that someone can copy your credit card details or the CCTV camera can capture it too. Also, check your credit card when it is handed back to you to make sure it is yours, not a duplicate or bogus one. You never know of thieves and their agendas. Its better and safe if you further secure the door of your room with a wedge lock, especially when you are in the shower or sleeping. There have been incidents where some of the hired staff turned out to be thieves and had access to rooms as they have spare keys and master keys. This is something to be very careful about. Your room number is a private thing and you must never share it with anyone. Your room number is written in the paper holder of your room key, check it and memorise it, do not say your number out loud. It doesn’t matter how big and reputed your hotel might be. The safety of your personal belongings and valuables is something you cannot overlook or ignore. Lock your entire luggage, your room door, balcony door, windows everything. Well, it is best to avoid carrying valuable items with you whilst travelling within your destination. But if you have valuable items with you, then do not keep them open in the room wardrobe or even in your luggage. Use the safe in your room to keep your valuable items. If you are hitting the gym or the pool of the hotel, late at night, it is most likely that you will be alone at that time. Less number of staff is on duty at night, which automatically increases the risks. Many people open their room door to answer every knock without checking through the peephole. The peephole is there for a reason, so use it wisely! Check who is there at your room door and if it’s a staff member ask what they need. Keep these tips in mind and you can have a happy and safe travel.